What’s the first pop-up book you bought? 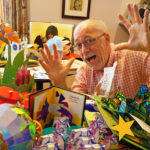 Who’s are your favorite pop-up book authors or paper engineers? What are your favorite books in your collection and why? How many books are there in your collection? What book is missing or will be the first one you’ll order next? If you could choose a subject for a new pop-up book by your favorite author, what will it be? Is there anything else you would like to share with other pop-up book fans? 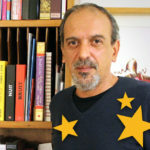 In this collector interview we are going to meet Elisa Gozzi and her pop-up book collection. 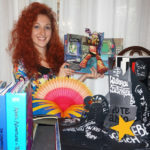 Elisa, who also won a prize with our Giveaway event, is a student of Art History in Bologna, Italy and in her free time she’s helping associations that organize pop culture and comic events. 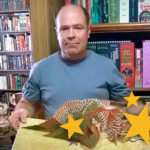 We would like you to meet pop-up book collector Joe Yow from the United States. Joe is retired from teaching and law enforcement. He’s collecting pop-up books for over two years now and already has a very impressive collection of pop-up and movable collectables. 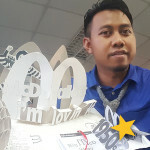 Meet pop-up book collector, pop-up artist and our personal hero Mohamad Rizal Kapandi from Malaysia. For Rizal, pop-up books have the power to make your imagination come to life. We are very pleased that Rizal was willing to answer our questions about his passion. We had the honor to interview pop-up book collector Ulrich Tietz. 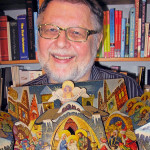 Ulrich is 71 years old and a retired teacher from Germany with an impressive collection of (classic) pop-up books. Maaike van der Meulen is our collector of the month January! 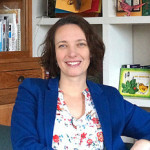 Maaike is a Duth book-artist living in Zwolle. She graduated as an illustrator and uses old printing techniques to make books and artwork. 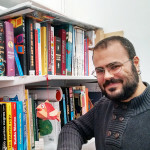 Yeray Pérez is our very first Pop-up book collector of the month! A new category on our website that shares pop-up book collections with other fans. We are very exited about this new addition on our website because we think it’s very useful to connect fans with fans worldwide.